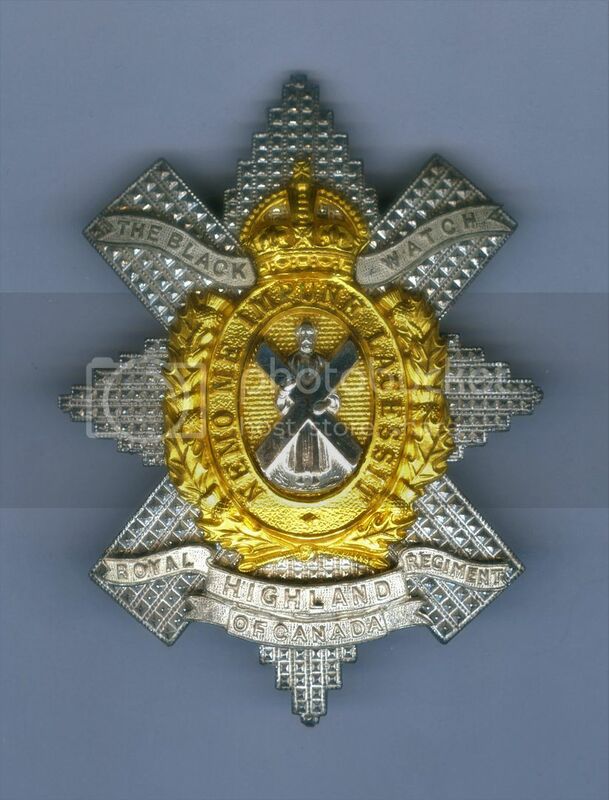 Large sweetheart brooch 73rd CEF circa 1916. Die-struck silver brooch with enamels, stamped to the rear TLM Sterling (Thomas Mott Birm). 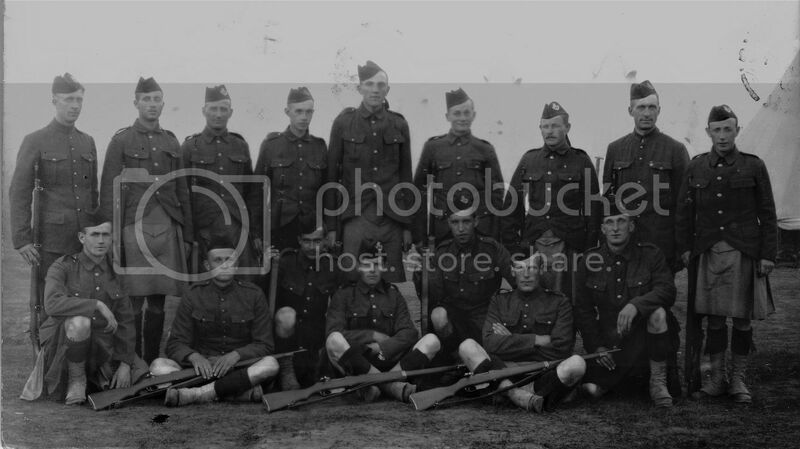 5th RHC Valcartier Camp 23rd Sept 1914. A mixture of 5 & 7 button tunics. "Here is a rotten picture, do you recognise me? Hope to leave today but impossible to say. Affectionatley F.E.S.Y." 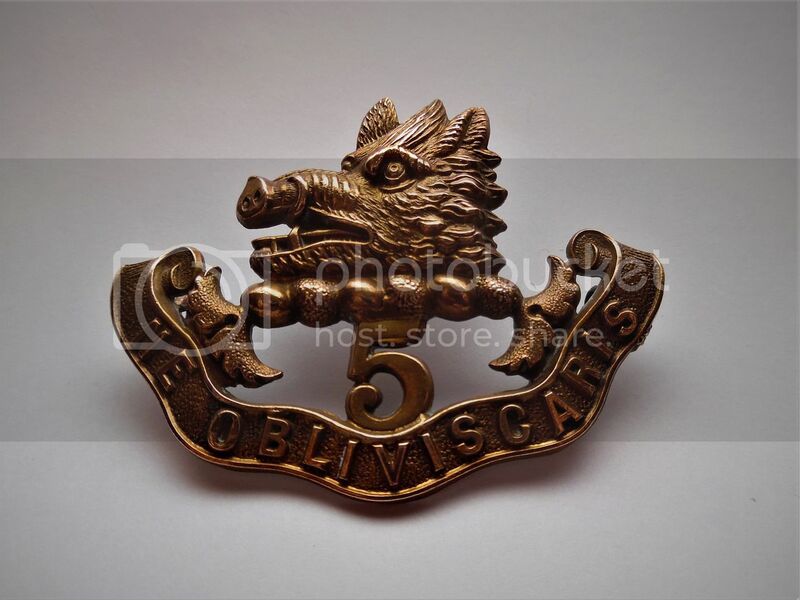 5th Royal Scots gilding metal glengarry badge with rich coppery colour. 1885 pattern ref Brooker 105-11-28. Last edited by ronmarsden; 7th October 2017 at 09:47. 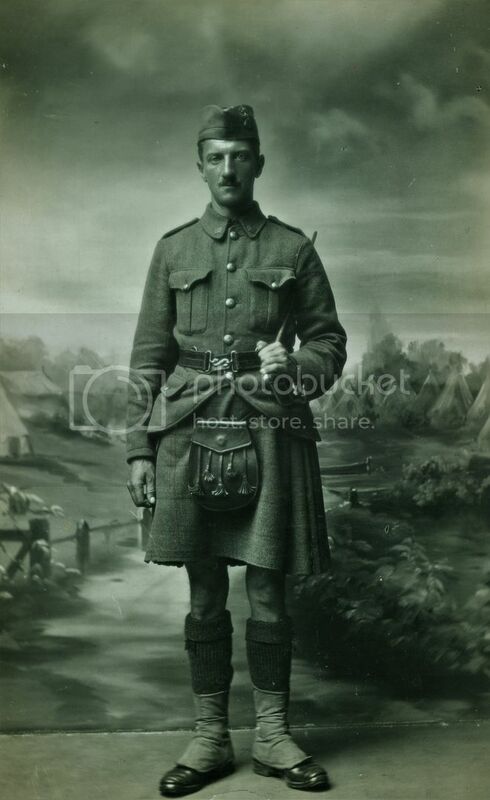 73rd CEF man wearing maple leaf collars and a kilt of Black Watch tweed, which they called Cantile tartan after their C/O. 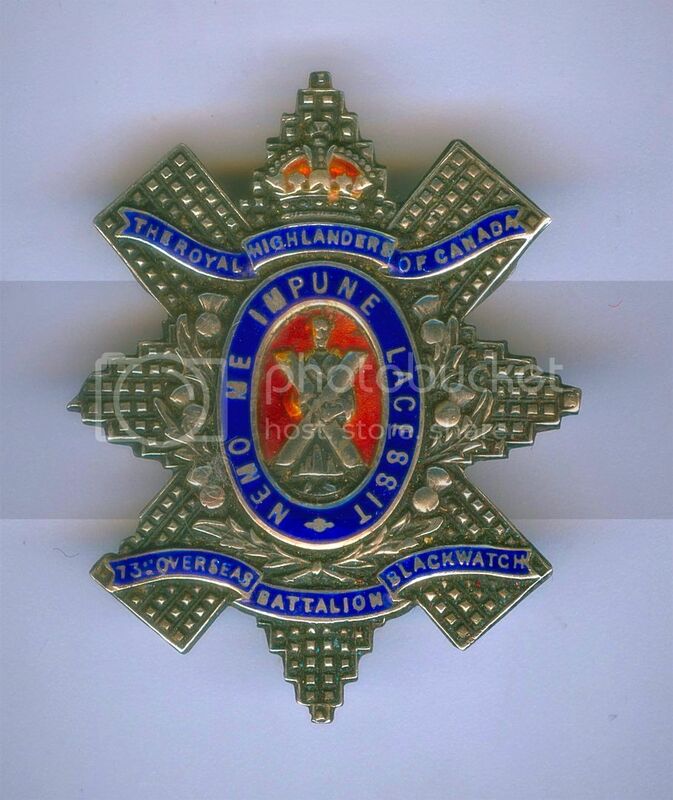 13th (RHC) Bn CEF shoulder numeral badge. Front cover of the Standard Photonews July 17th 1943. Queen Mum inspecting the guard of honour of The Black Watch of Canada, she wears a maple leaf badge in her hat which resembles a T-O-S. Also a Black Watch brooch on her lapel. She was in Canada with the King to host the Quebec Conference held in August of that year. Present were F.D.Roosevelt, Mackenzie King and Winston Churchill. Officers 1906 pattern small gilt button, 3/4 inch diameter. By J Inglis Winnipeg & Montreal. 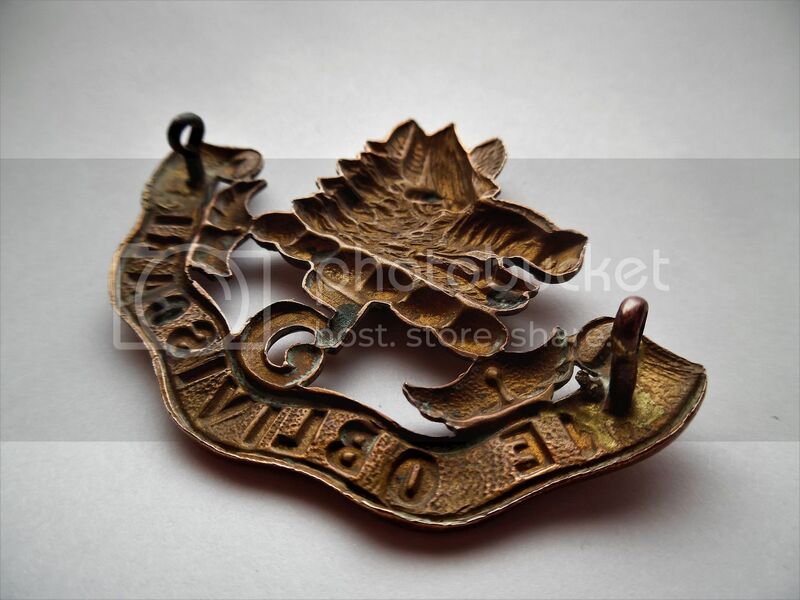 Small size title 11.5 x 37.2mm in gilding metal. Pattern introduced in 1916 with two full stops.